Midsize sedans likely to feel brunt of culture change. 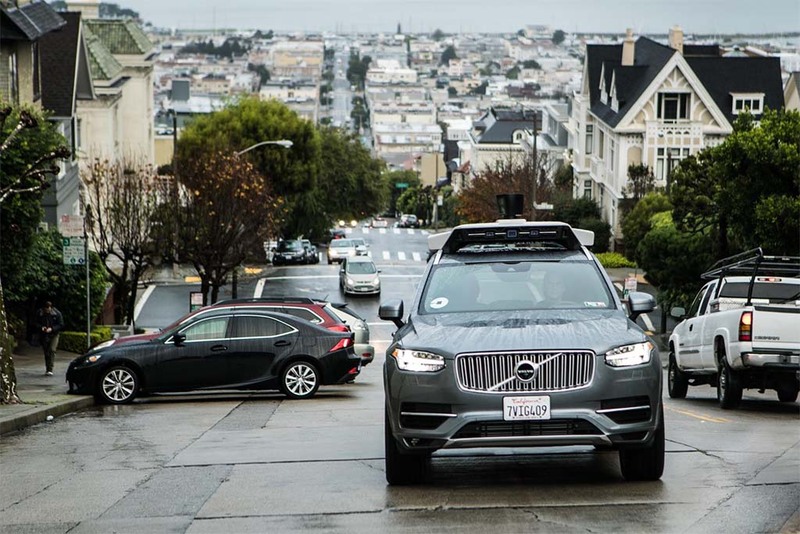 An autonomous Volvo XC90 used by Uber in San Francisco. The company plans to buy 24,000 vehicles. Autonomous vehicles used by ride services will cut the demand for owner-driven sedans by half in the U.S. by 2030, according to a new study. Consulting firm KPMG predicts that ride services will start gaining in popularity in urban areas and some densely populated suburban regions with ride-sharing services, like Uber or Lyft, using self-driving vehicles to shuttle folks around. Before you dismiss it, General Motors took an ownership stake in Lyft to ensure it played a role in that business before it got shut out. Ford is also working with Lyft, and Alphabet’s Waymo subsidiary is looking to gain favor with other companies as it dishes out free rides under KPMG’s proposed scenario right now. Researchers believe that as the costs for autonomous vehicles fall, that by 2030 families will use the services in place of a second vehicle to run errands or for unexpected trips. When that occurs, sedan sales will be hurt the most—a drop automakers can ill afford now. Sales will drop to 2.1 million sedans annually in the U.S. by 2030 from 5.4 million sales currently, the study predicts. As they are now, families will dump sedans and keep larger crossovers and sport-utes for longer trips. KPMG said it used data collected from cell phones to analyze trips in Atlanta, Chicago and the Los Angeles-San Diego metropolitan regions, according to Reuters. In Chicago, many trips are shorter than 15 minutes. In Atlanta, the study found 75% of trips are between suburbs, not from the city center to a suburb. Los Angeles trips are the longest, with many rides taking 90 minutes or more, the study found. The KPMG study, released in conjunction with the Los Angeles auto show, echoed comments by auto and technology industry executives that self-driving vehicles will be deployed first in ride-for-hire services limited to specific areas of cities or suburbs. Many of these ride-sharing and hailing services will be partnered up with other services, such as stores that will grocery shop for consumers and deliver them to a vehicle, such as WalMart and Kroger. This entry was posted on Monday, November 27th, 2017 at and is filed under Automobiles. You can follow any responses to this entry through the RSS 2.0 feed. Both comments and pings are currently closed.